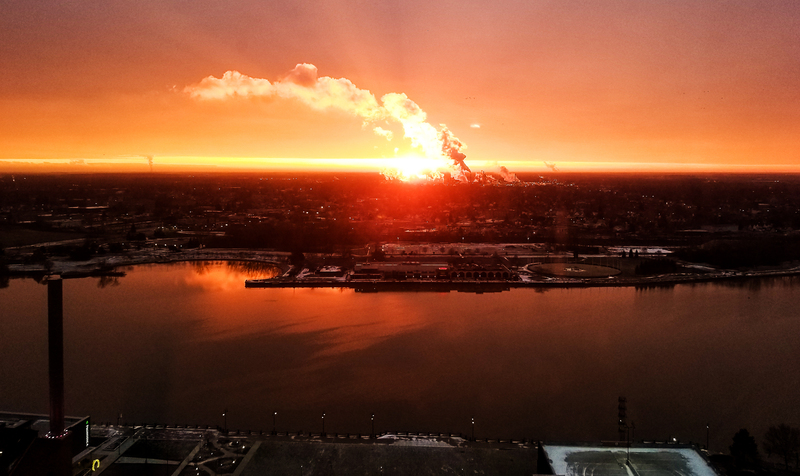 “The Cloud Factory” The sunrise showing through one of the many cloud factories that we have in the city. Toledo, OH. December 11, 2017.